Free shipping over RM 129 purchase. Free shipping over RM 460 purchase. 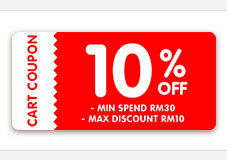 Shipping fee is free when purchasing above RM 129 in a cart. Highly Recommend written by mobile Fast shipping! I like this white dress, the quality is good but the measurements is a little bit weird. Overall, satisfied. The fabric is thin, the real item was not as per photo shown. It was below my expectations. Regret my purchase. Quality is acceptable with the price. Cutting just nice for me. Good product quality and value for money. Quite long dress for me.. Good quality and worth. Wait a minute. We'll update the price list as soon as possible. Thank you. Because the Spring Festival holidays in China are very long, we stop selling our products first, and will continue to sell after the Spring Festival. Thank you. 我也给你们选择了要我用POS MALAYSIA 的空运 马币45 （6-12天） 或 马币35 (4 - 7星期），请选择贵公司所要付费的邮费方式，好让我尽快寄回尺码有大差异的裙子 64 G07. Hi, can I know whether 1-G20 (apricot) still got stock? HI: This project is not in stock now. Can you provide the waist measurement for 66-G12 for L & XL sizes.